U.S.-eligible forward Sam Underhill is about to lose that eligibility after being called into the England team set to tour Argentina this summer. The fact that Underhill is choosing England is not a surprise by any means and the chances of him appearing in an Eagles jersey were extremely remote at best. Underhill was raised in England and has been a sought after player for a number of years since he appeared for England at the junior level. 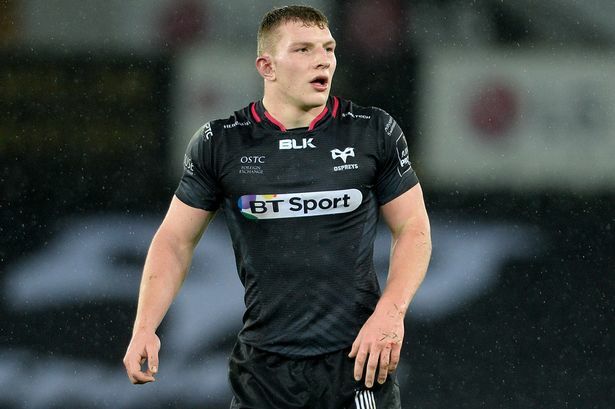 There were some thoughts he might play for Wales after playing for the Ospreys the last couple of years while going to university but that's over now that he's moving to Bath next year. The only way he was ever realistically going to play for the Eagles was if he was injured and passed over for England selection for the next five years. That would be similar to what happened to Hanno Dirksen and potential selection for Wales. Dirksen likely would have played for the Eagles but because he wasn't born in the U.S. lost eligibility when he moved to the UK. In many ways Underhill's story is similar to that of Scotland's Tommy Seymour. Seymour was born in the United States (his brother plays for the Chicago Lions) but grew up in Ireland and Scotland. He signed with Glasgow and eventually earned a Scotland call-up and now a British and Irish Lions call-up. He was only ever going to play for the Eagles if his career in Scotland went bust. The news about Underhill and Seymour is a good time to remind folks of our policy on Eagles Abroad. We will continue to follow them until they lose that eligibility. For Seymour that was when he played for Scotland and for Underhill it will be this summer.